After getting a VA Ratings Decision that you would like to appeal, should you seek review of your denied VA Claim by a DRO? Bottom Line Up Front: I cannot think of a scenario where you would not request the DRO Review. Before I tell you why, let me do a quick “primer” on the DRO process. 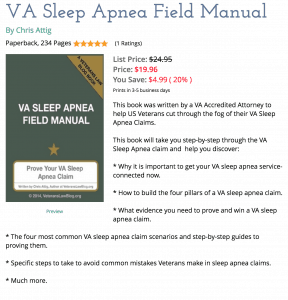 After the VA Regional Office denies your claim, in whole or in part, you must appeal the VA Ratings decision if you wish to challenge that result. To begin the appeal process, you file a written notice of disagreement (NOD) with the VA Regional Office (VARO) that issued the disputed decision. 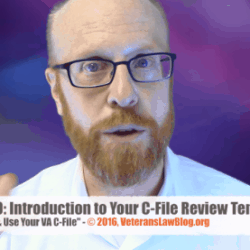 The VA then sends you an appeal election form asking you to choose between a traditional appellate-review or a review by a decision review officer (DRO). You have 60 days to respond to the appeal election form. See 38 C.F.R. § 3.2600 (2007). DROs are authorized to grant contested benefits based on the same evidence utilized by the initial rating board. 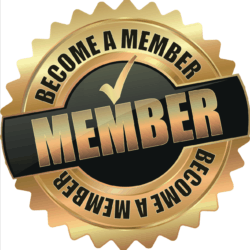 The DRO is a valuable additional step in the process. With rare exception (there are 1 or 2 DROs that are bad apples) I can’t think of a reason NOT to request a DRO review of the VARO’s Initial Rating Decision. DROs are senior representatives of the VA with considerable experience in handling Veterans’ claims. The DRO will review the case without deference to the VAs initial decision. The DRO process is frequently successful and is generally much faster than going directly to the BVA. If you do not receive a better decision from the DRO, you can still appeal to the BVA. Example of how a DRO Conference led to a favorable outcome. In a recent claim we handled for a Vietnam veteran with Post Traumatic Stress (aka, PTSD), the VARO initially denied the Veteran’s claim, finding that there was no evidence of a current diagnosis. This conclusion flew in the face of the evidence of record, wherein the VA had actually diagnosed the Veteran with PTSD (and other mental health conditions) as a direct result of his military service. We sought review by a DRO; within a few weeks, the Veteran was invited to the closest VA Medical Center for an evaluation for the purposes of generating an impairment rating for PTSD. Within a few months of requesting the DRO, the Veteran was service-connected for PTSD. Within thirty (30) days of that decision, the Veteran received a substantial payment of past-due benefits from the VA, and will continue to receive benefits into the future. Had the Veteran not requested a DRO, I suspect it could have taken 1-2 years – at least – before we got a chance to persuade the BVA Hearing Official of our version of the facts. Even if successful at the BVA, it is likely that we would have merely been able to get the BVA Hearing Official to remand the Veteran’s claim back to the VA for a mental health impairment evaluation and further development of the record. I Think the VA Got it Right with the DRO Conference. While not a guarantee that you will get the benefits you are seeking, the DRO process seems to work for just about anyone. It helps Veterans get the benefits they are entitled to earlier than they would have by going through the traditional appeal process. It helps the VA reduce its backlog of claims. Surviving issues that need to be appealed to the BVA (computation of effective dates, disagreements over the percentage of impairment rating, etc.) are narrowed for review by the BVA Hearing Official, and are more clean in their presentation to the BVA. Despite these advantages, all too many Veterans don’t yet know that the DRO process is a very good option to pursue in nearly every type of claim. Perhaps the VA could explain the process better to Veterans. 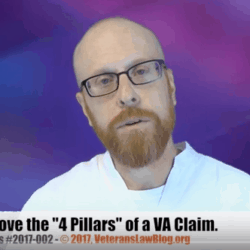 Perhaps Veterans are tired of going through yet one more stage of review of their claim and are “once-bitten-twice-shy” about the VA’s claims of a more efficient process for helping the Veteran. With the likelihood that you will wait many months or years before you can argue your position on a denied claim before a BVA Hearing Official, it makes sense to ask that a more senior representative review your claim. Using the comment section below, what was your experience – good or bad – with the DRO process? is this current as of 6/15/2015 a claim for various disabilities was sent to va, in addition to IU(individual unemployability).VA, addressed all but the IU.My attorney appealed.It has been 2 yrs since appealing, but finally a DRO was assigned to my appeal.Just received a letter for a hearing.Could this mean good, bad, or what. I think you should defer to what your attorney is telling you, and I don’t want to contradict what he or she is telling you. Having said that, I always get great movement on my clients’ cases from DRO hearings. Read this post to see the Many Ways to Win at a DRO Hearing. But we never wait 2 years for a DRO Hearing. We can typically get our DRO conferences scheduled in 6-9 months from the filing of the Notice of Disagreement. Just call the Station Hearing Coordinator at the VA Regional Office, and ask for a formal (in-person) DRO hearing or an informal (telephone) DRO Conference.